Fred Hollows was an inspiring man. A passionate man. An ophthalmologist at a prestigious Sydney hospital, he helped set up the first Aboriginal Medical Service and launched a national programme to combat eye disease in Aboriginal Australians. By the 1980s, Fred had extended his campaign for treating avoidable eye disease in some of the world's poorest countries. Fred Hollows was a humanitarian in the fullest sense of the term: someone who acknowledged the limits imposed on us by nature but refused to accept the limits we impose on ourselves. He understood the term "aid" in the only way it makes any sense, as helping people overcome the obstacles that stop them from standing on their own feet. 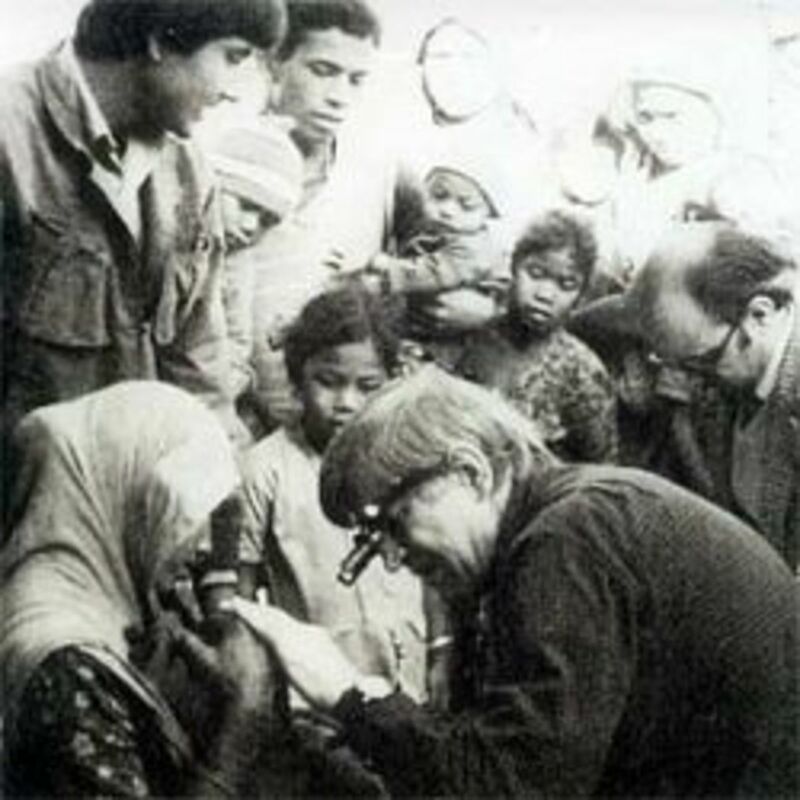 When Fred Hollows wanted to aid overseas cataract victims, he didn't make a one-off charity contribution, he didn't organise a Rock Concert and make himself famous, he set about helping the Eritreans and the Nepalese and the Vietnamese to produce their own lenses, without concern for the profit rates of Western companies. This earned him sneers and worse from those profit-making companies which prefer to see an aging musician talk about "poverty" in sorrowful tones than to see a doctor teaching people to help themselves. There is profit to be made from poverty - and Fred Hollow's work threatened that profit. From 1976 to 1978, Fred's volunteer medical teams screened 100,000 people, 60% of whom were of Aboriginal or Torres Strait Islander heritage. Because of this programme, the rate of curable blindness among these communities was halved. Fred's anger at a system which allowed curable blindness in indigenous Australians often meant that he was considered short tempered. 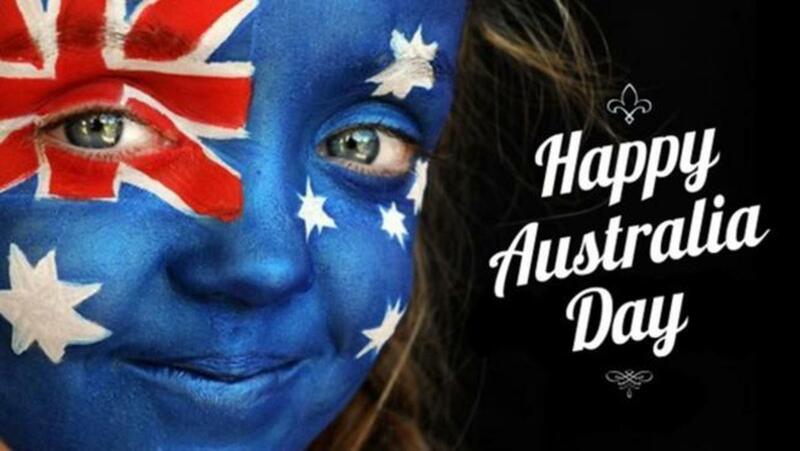 His early campaigns earned him almost as many enemies as friends and he was often referred to as the 'Wild Colonial Boy' of Australian surgery. By the 1980s, Fred had extended his campaign for treating avoidable eye disease and was soon traveling all over the world. A great believer in people being empowered to help themselves, Fred set up eye clinics in some of the world's poorest countries. At these clinics he not only treated people suffering from eye diseases, but also taught local doctors how to treat these diseases so they could continue his work. As word of his work spread, more and more Australians volunteered their time and donated money so Fred could continue to establish his clinics in developing countries around the world. His dream of setting up an eye lens factory in Eritrea became a reality when Australians donated more then $6 million to the cause. Three out of four people who are blind don't have to be. They are blinded by poverty alone. By 1989 Fred knew he was dying of cancer and he died at home in the February of 1993, surrounded by his friends, his wife Gabi and their five children. 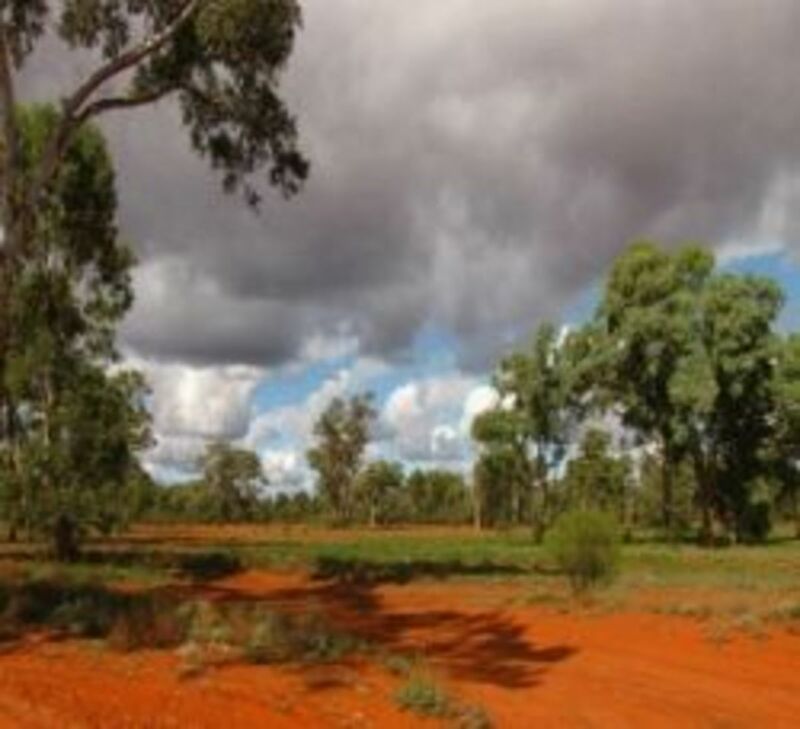 Some days later, I attended his official state funeral at St Mary's Cathedral in Sydney, but Fred was laid to rest in Bourke, a northern New South Wales town, amongst the red dirt and mulgas. The town of Bourke symbolises the 'end of the road' in colloquial Australian. 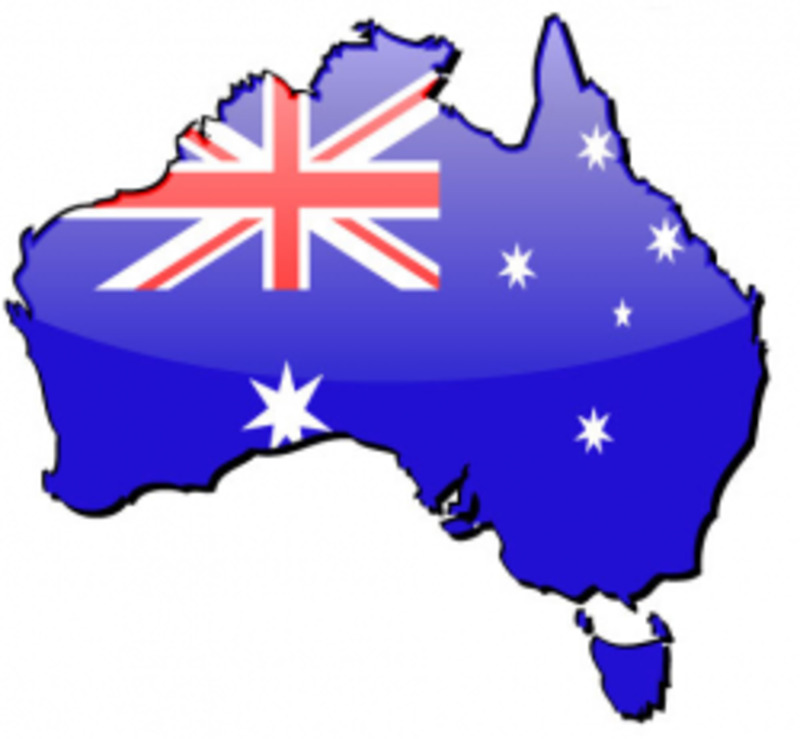 The Back o' Bourke is more than a geographic location, it's part of the Australian language, part of the folklore. Fred first visited Bourke in the early 1970s, and his eye team held regular weekend clinics to Bourke District Hospital. 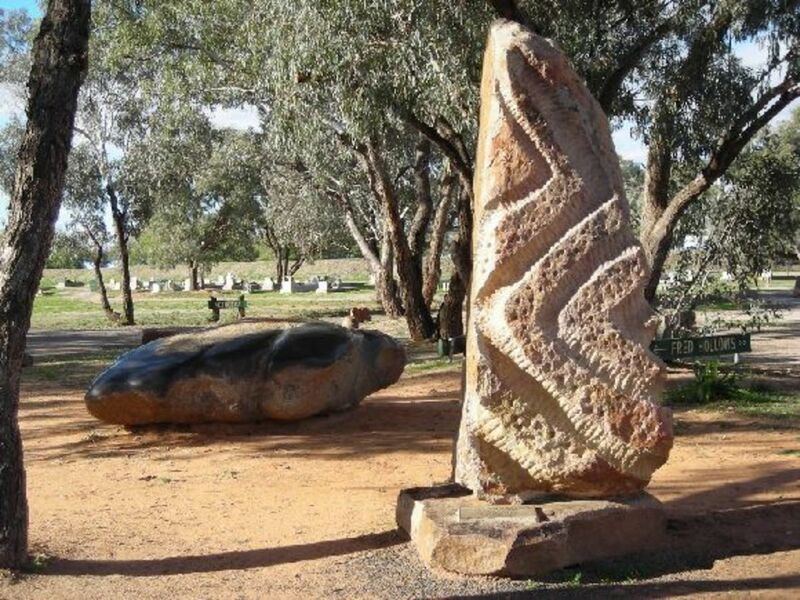 They were welcomed in the true Bush spirit and provided services to other communities in the district, including Brewarrina, Cobar, Enngonia, Walgett, and Wilcannia. These vital screening and surgical services are continued today by the Eye Team from the Department of Ophthalmology at the Prince of Wales Hospital in Sydney. Pretty much everyone in the district knew Fred and had a story about him to tell anyone who would listen. Whether it be about how he treated their eyes, how he swore at them, cajoled them, joked or shared a yarn with them. 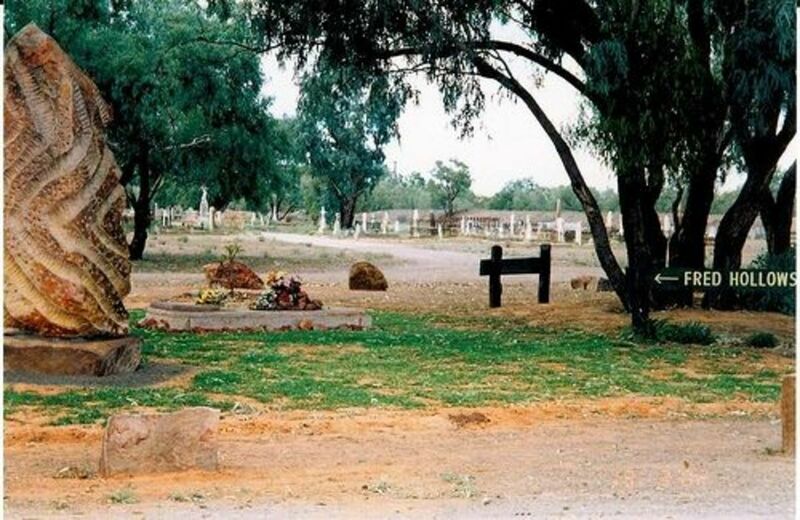 Fred Hollows will always be remembered in the Outback. In 2006, Fred's original gravestone was replaced with a new granite sculpture, created by Austrian sculptor Andreas Buisman and erected with the generous support of friends and the local community. The Hollows' family invite visitors to touch and feel the rock, to climb on it or sit peacefully and contemplate life. For them, the polished surface of this new installation is reminiscent of the surface of those small medical marvels, pieces of clinical grade perspex called intraocular lenses. IOLs replace the natural damaged lens of the eye and restore sight to those living with cataract blindness. Factories in Eritrea and Nepal, named after Fred, now manufacture these lenses. The hymn Amazing Grace declares: "Was blind but now I see." and Fred Hollows has been almost deified since his death in 1993. It's the sort of joke he would appreciate. Fred, who once studied for the priesthood, died an atheist. In the end he cared too much about humans to devote his life to God. Tran Van Giap was one of those humans. In 1992, the Vietnamese boy with a severely damaged eye, squeezed to the front of a crowd gathered around Hollows. The boy's injury and lack of treatment enraged Fred. What the seven-year-old didn't know was that Hollows was ravaged with cancer and had less than a year to live. 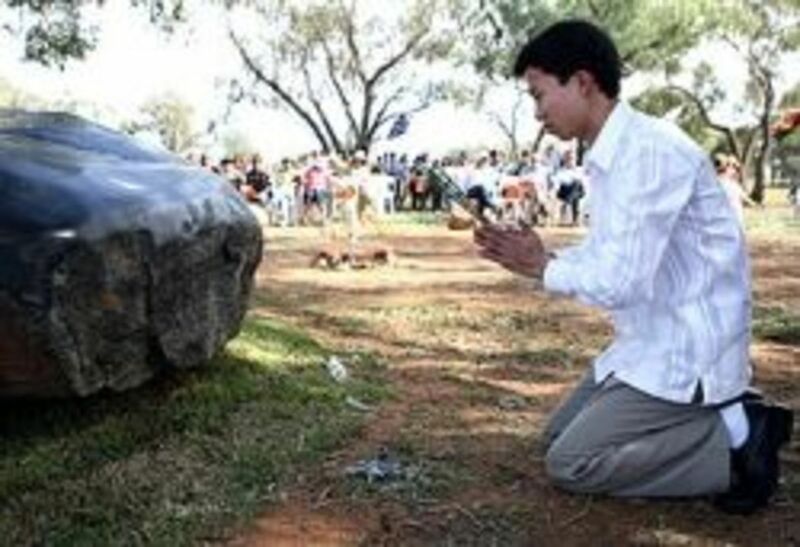 In 2008, Giap made a pilgrimage of more than 7000km to Bourke to thank the man who turned his life around that day -- and to assure him his work had not been in vain. The Cambodian Government awarded The Fred Hollows Foundation with a rare medal of honour, acknowledging the organisation's contribution to preventing unnecessary blindness in the country. The National Development Medal was presented at the official opening of a new eye clinic in Prey Veng Province in south western Cambodia in early November 2008. The medal has only ever been awarded to a handful of International Non Government Organisations. 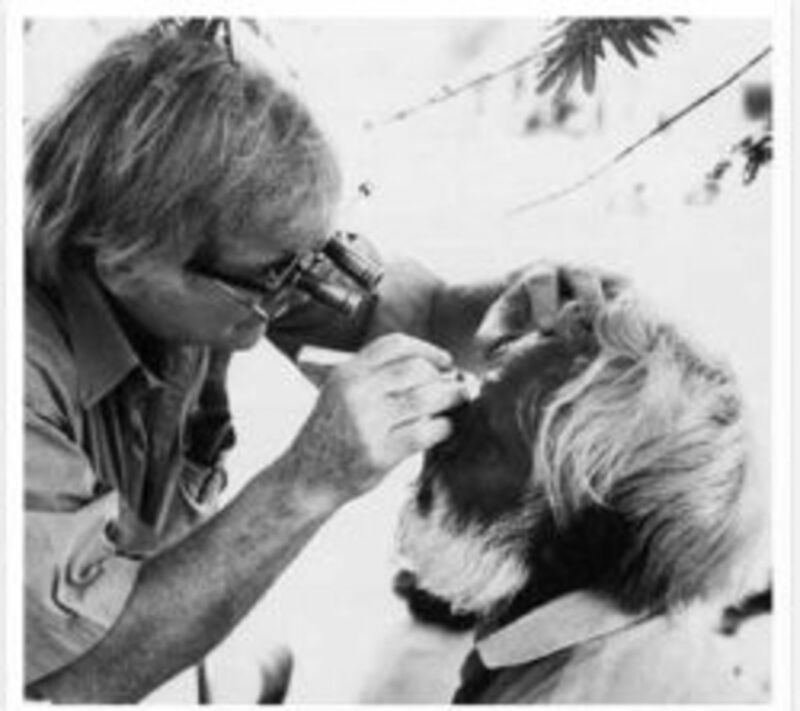 Inspired by the work of the late Fred Hollows, The Fred Hollows Foundation's vision is for a world where no person is needlessly blind and Indigenous Australians exercise their right to good health. Photo : Khim Rath, who can now see after a successful cataract operation, Kampong Chhnang province, Cambodia. Did you know about Fred? Have you heard of Fred Hollows before? 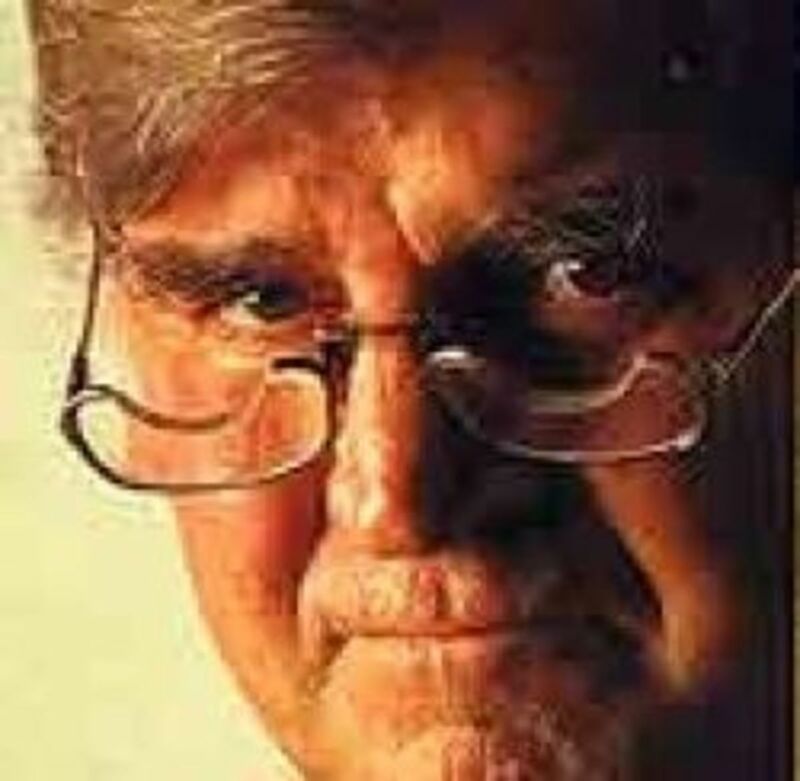 Want to leave a comment on Fred Hollows? A fantastic page for a really special man! What a great tribute to a great humanitarian. Truly, I had never heard of him but I'm glad I stopped by today. I don't have any angel dust, but send you lots of happy grannysage blessings. I love that the advertising fraternity continue to use videos of Fred Hollows on commercials to promote his wonderful cause. Just love seeing those twinkling eyes peering over the specs on the end of his nose. Hope the world never forgets him. Fred Hollows is a great man. I am currently using him in my assignment for "A Great Person In History" This man is the definition of GREAT. I had not heard of this man. Thanks for sharing his accomplishments, and continuing his work by sharing his story and contributing to his charity. As someone with sight problems, I totally appreciate anyone who understands the devastation that being sightless would bring. I did not know about Fred Hollows before, so I was not in a position to help his cause. Now, the tables are turned an' if I don't do something to help, I have no reason to complain I continue to have problems. Only through helping others can we truly help ourselves. Thank you so much for writing about this man and the way he lived his life. I am at a loss for words just now to express how I am feeling. What a great man who helped more people than we will ever know. A true reflection of divinity. Thanks Susanna, I did not know anything about Fred Hollows, and I am awed and moved by his story. An excellent lens about this inspirational man. I'd not heard of Fred before reading your lens and it's this kind of lens which makes Squidoo so wonderful. Awesome Lens. Good on Fred Hollows for getting out there and helping blind people. There's been a bug going around concerning Lens pictures; you might want to republish to get your missing pictures back. I learnt a few things. Firstly, you need knowledge. You need knowledge to help people. Secondly, having a care or conern for others is the highest of hman qualities. Surely, i look up to him. He is a great man. He is awesome-a great person to know. Fantastic work -- sounds almost like Bob Geldof in his manner. Wow, I am sure glad to learn about the wonderful humanitarian work of Fred Hollows. 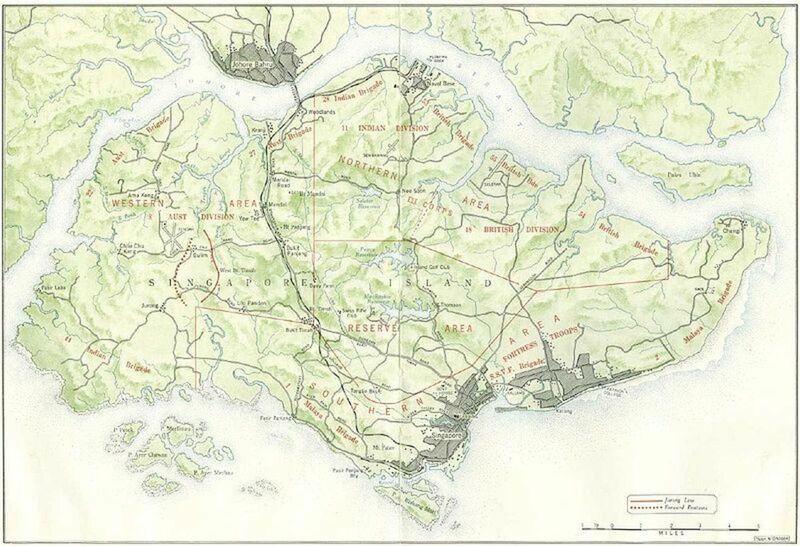 This is a beautiful tribute and very informative. Wonderful lens, it gave me goosebumps...and now I know who Fred Hollows is! A few years ago, I suffered from a neurological illness that also threatened my vision. I did, in fact, temporarily lose some of my ability to see certain shades of colors and quite a bit of my peripheral vision. It was terrifying to not know if the damage was permanent or not, or if I would lose my sight completely. Giving someone the gift of sight is really giving them the whole world. I have loved this man from the first moment I heard of him and his work. What a superb human being. Just heard he will be honoured in a new way, with a coin created with his image on one side. Lensrolled this beautiful article to my latest lens. Seriously beautiful lens Susanna. A true hero - giving vision in more ways than restoring sight. Yet another challenge to us all to be better human beings. Thanks for sharing this. I am happy to be informed about this man and his wonderful work with people in need. I hate the mines. They are just wrong!!! I hope to continue learning from you. Great lens...about a great bloke...A Kiwi - Australian... born and studied medicine in Otago... finished his work in Australia, A true Humanitarian! I think it is such a wonderful contribution for yu to be donating 10% of all your web earnings to this cause. I was only a child when he passed, but I do remember it being all over the television and my mother explained to me what he had done for so many people. @SusannaDuffy: Susanna, I think you're pretty darn impressive with your donation scheme. As for the glasses, I was not referring to the medical magnifiers, but the 'normal' spectacles that have these carved out semi-circles. But now that you mention the magnifiers, it gave me the idea that these semi-circles are for accommodating the magnifiers while wearing his normal spectacles at the same time? @Quirina: Yes, Fred was a wonderful man, his work still goes on. I give 10% of my earnings (all web income) to Fred Hollows Foundation. Fred is wearing medical magnifiers-loupes. First - I did not know Fred before reading this and am thoroughly impressed with his work and vision. And I'd like to add: I do not consider being short-tempered a flaw in a person - I think short temper and passion go hand in hand. I think very many people in this world are way too much indifferent about things. Second: Am I getting this right? 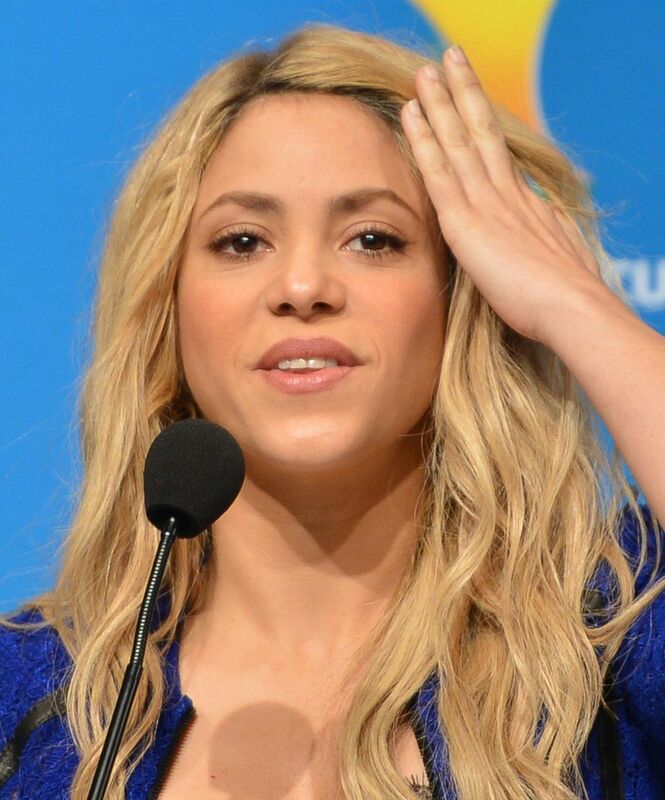 YOU, Susanna, donate 10% of your income to the Foundation? That is 10% of your total net income? Not 'just' Squidoo income (which would be tiny peanuts in my case, but yet possibly very significant in yours...) ??? Ok, and another question: Why is Fred wearing these funny glasses? Thank God for people like him! Nice uplifting true story of a great man. Thanks for sharing and this is a great charity to support. Great story of a great man. I have never heard of this amazing man. Thank you so much for writing about him and creating this lens. I'm so surprised that this amazing man is so little known outside of Australia. I'd never heard of him. I'm glad you've written about him so more people realise what a wonderful job he did for people who would otherwise have gone blind. What a beautiful place to be laid to rest. This is an excellent tribute to someone I hadn't heard of before; thanks for the education. 5*. What an inspiring story! This reminds me of a young lady I met (on the Appalachian Trail) who'd served as a volunteer aboard a ship that travelled to poor countries and brought people on for free eye surgeries. I wonder if she'd known of--or perhaps known--this man.